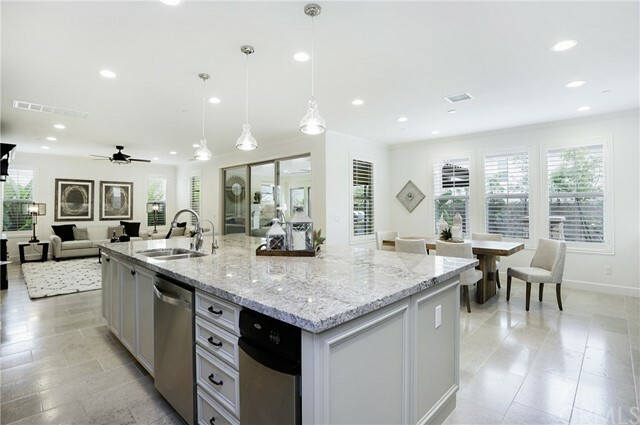 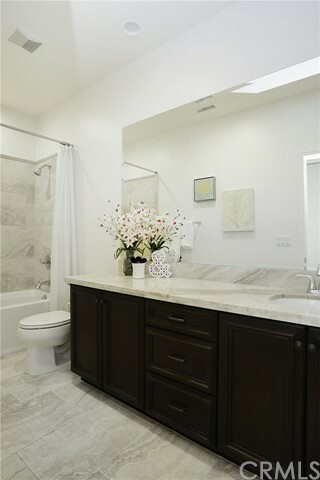 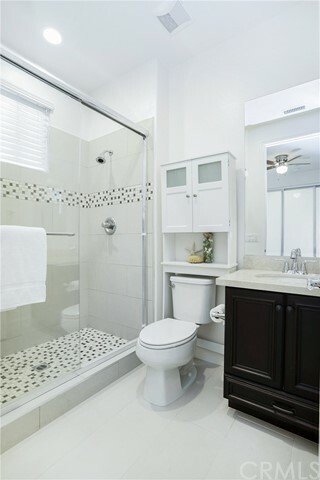 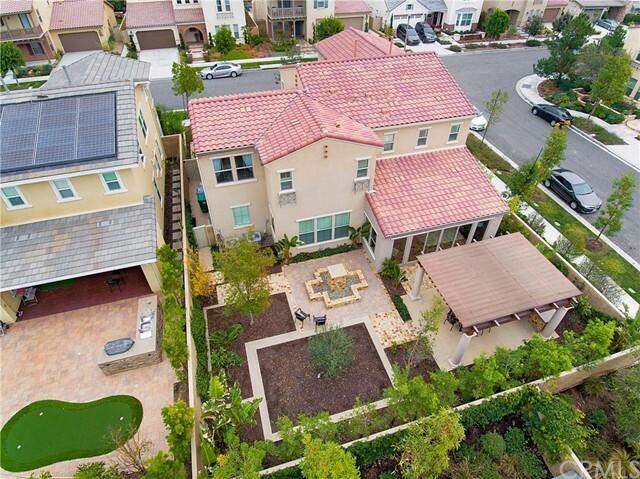 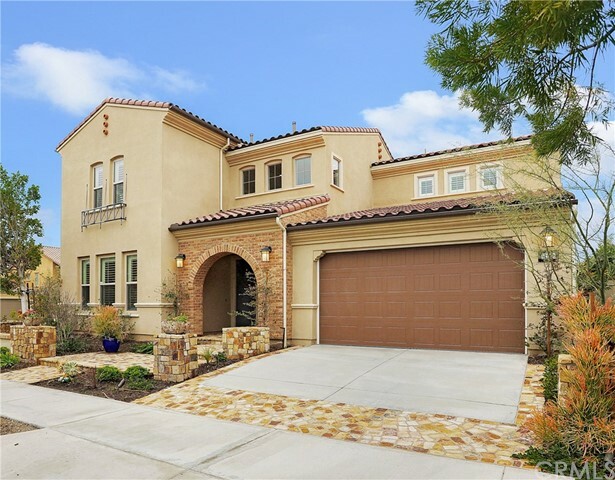 LUXURIOUS HOME LOCATED IN IRVINE PAVILION PARK COMMUNITY. 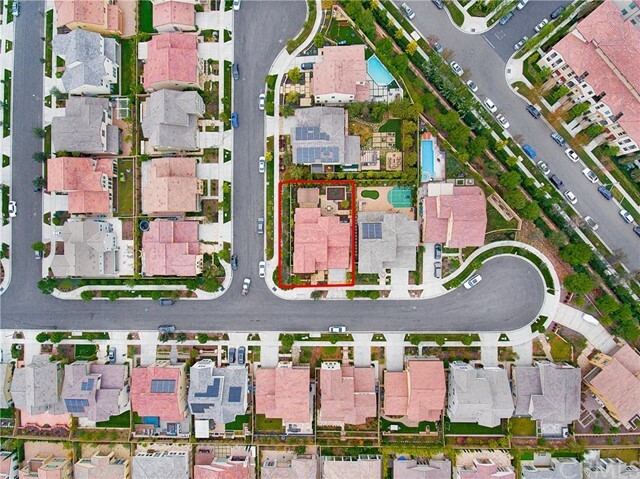 CUL-DE-SAC (Lot Size 6120 Sqft). 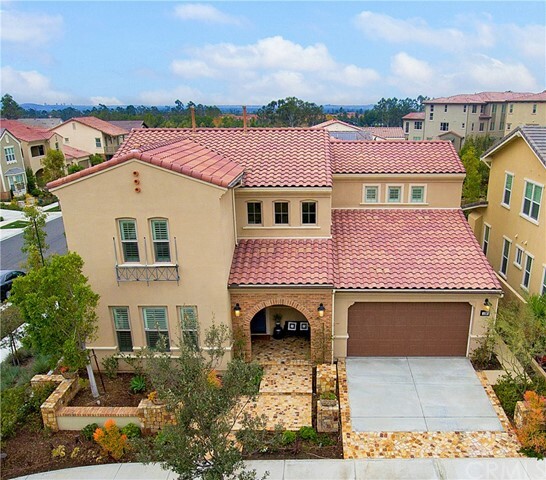 This amazing house has 3,344 sqft of living space, 4 suite style bedrooms, 4.5 bathrooms, loft, and an enclosed extended California room. 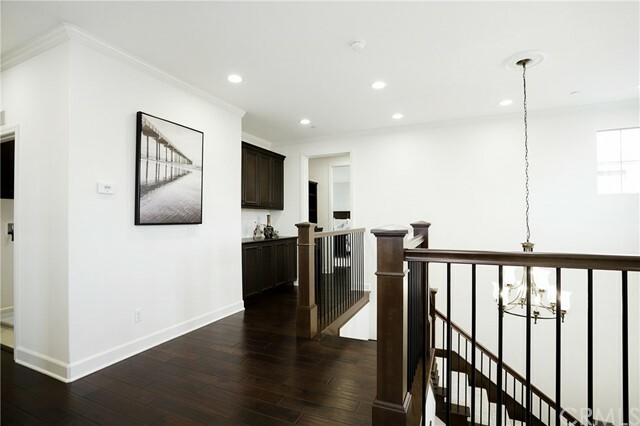 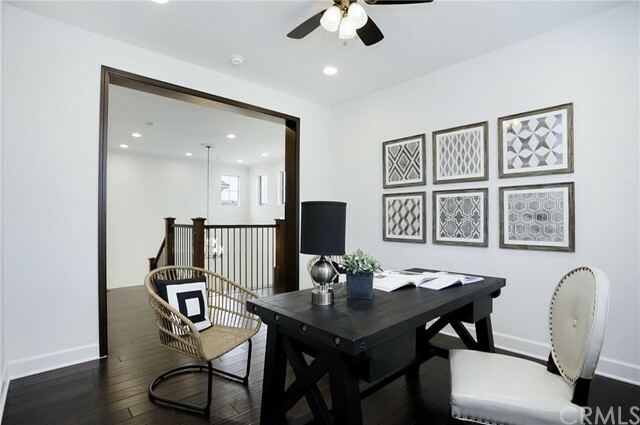 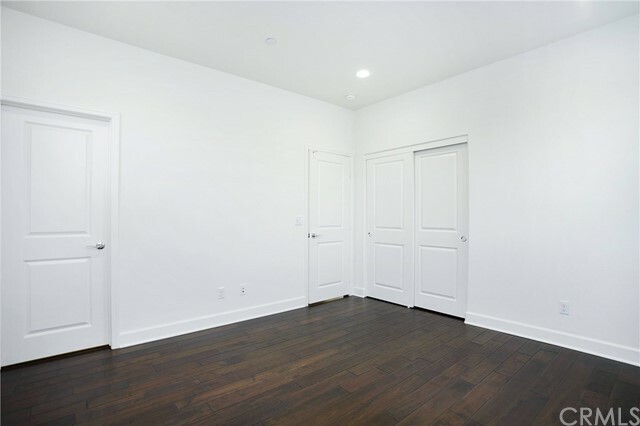 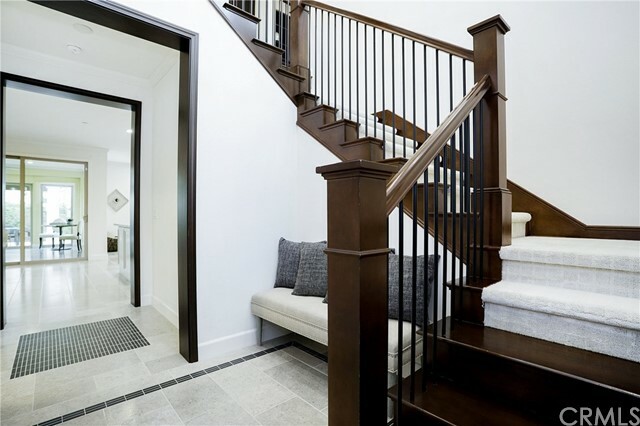 It contains a high ceiling, upgraded iron spindle staircase, and LED-recessed lighting. 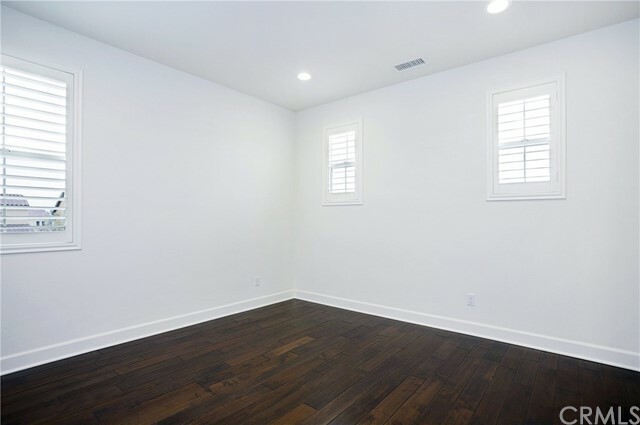 Additionally, the house is polished with ceramic tile floor downstairs, beautiful hardwood floors upstairs, crown moldings, plantation shutter, open kitchen with high-end granite counters top, custom stone backsplash, oversized kitchen island, extended and upgraded kitchen cabinets, stainless steel appliances, osmosis reverse water system, walk-in pantry. 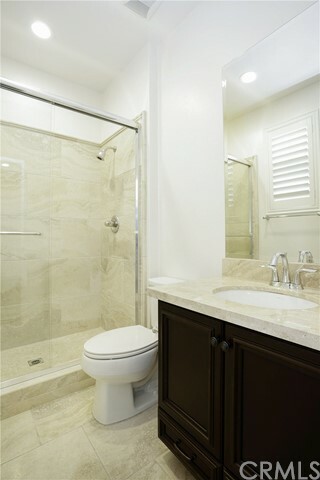 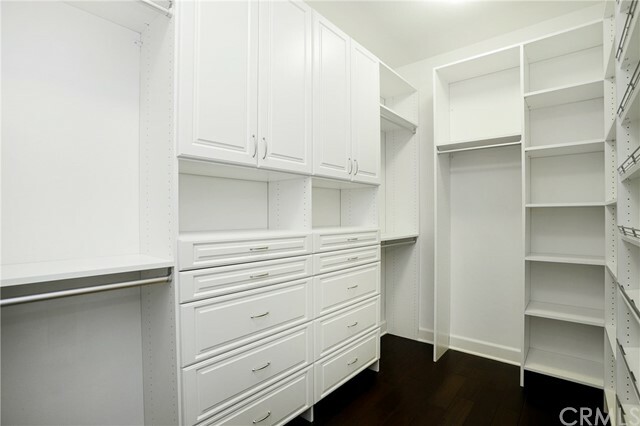 The upstairs laundry room has a sink and cabinet storage. 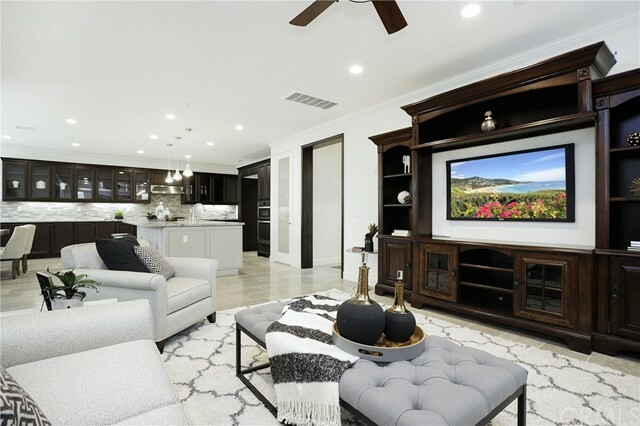 The house contains a 3-car tandem garage, dual AC units, duel energy smart tankless water heaters, 3-car tandem garage with epoxy garage flooring and extra cabinet for storage. 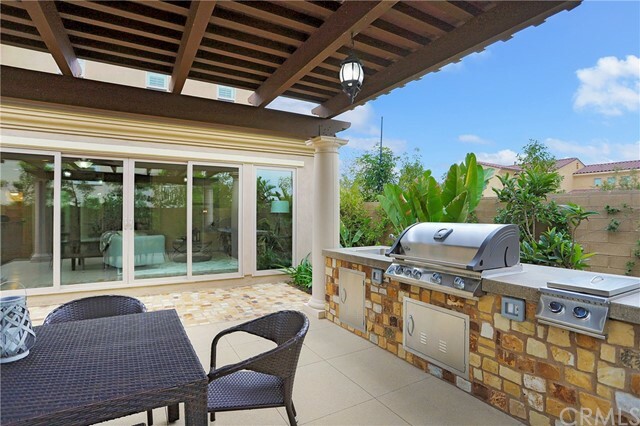 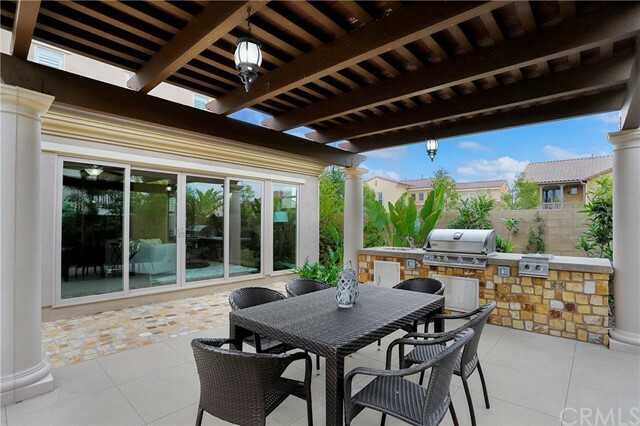 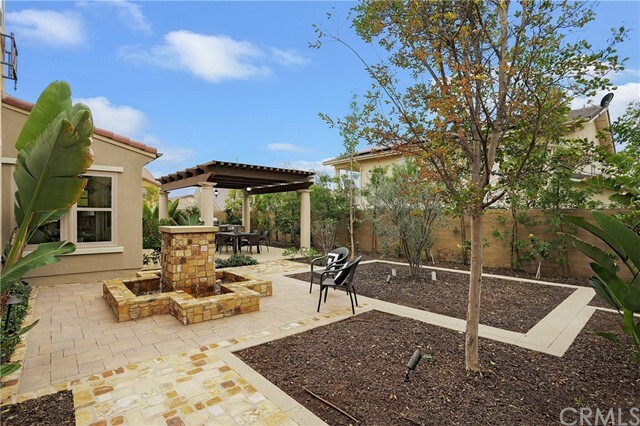 Beautiful landscaping designs and custom-built patio is coupled with fountain and BBQ area. 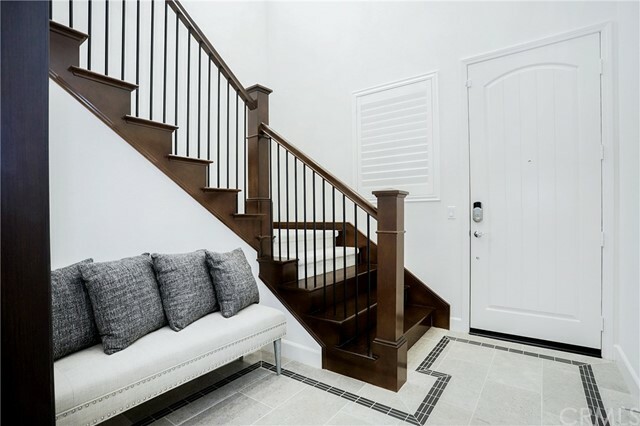 OVER $400,000 IN UPGRADE. 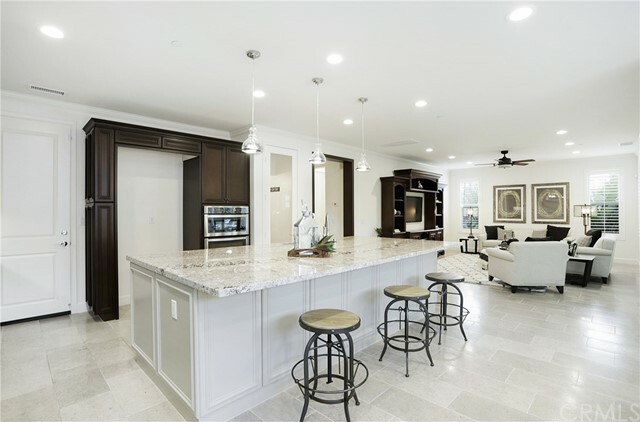 Community includes more than 5-acre park (which includes a private swim area), sport courts, an expansive lawn, and a uniquely designed children’s playground. 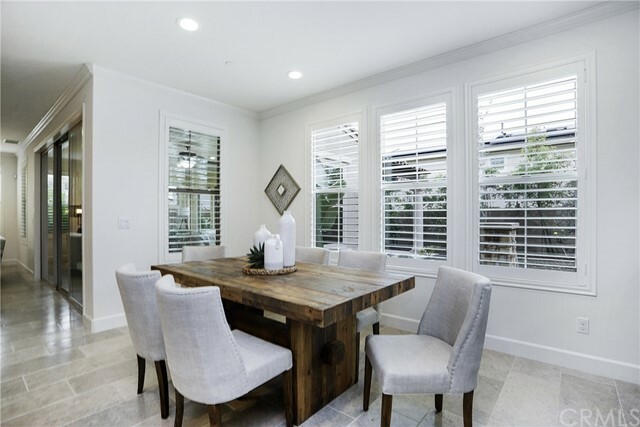 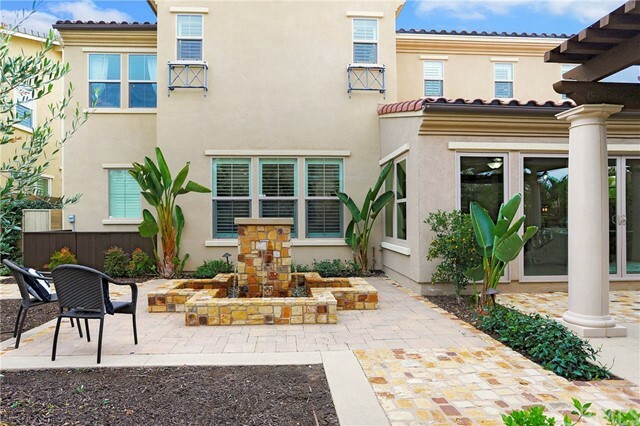 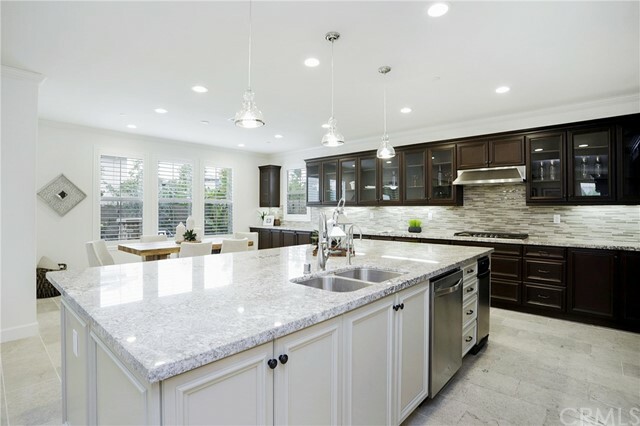 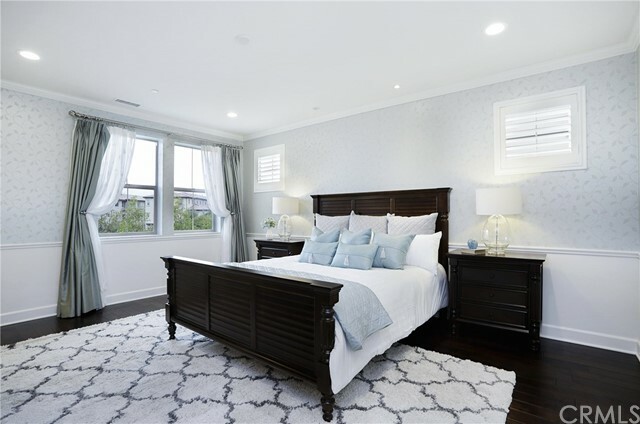 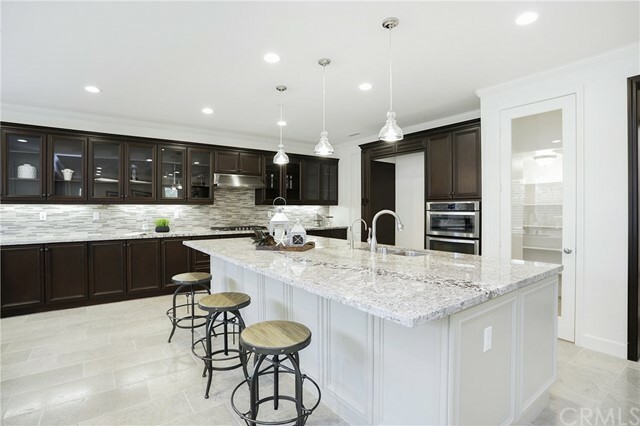 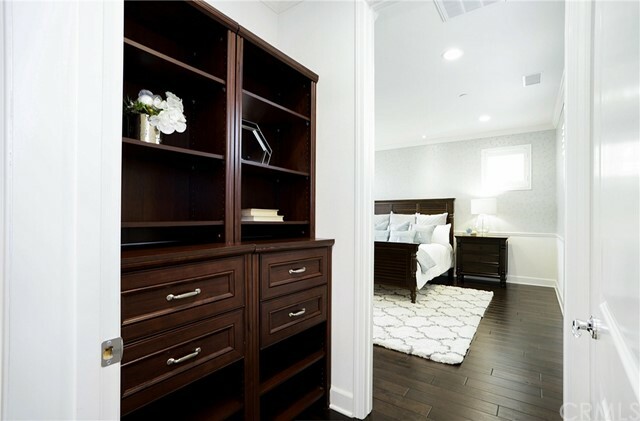 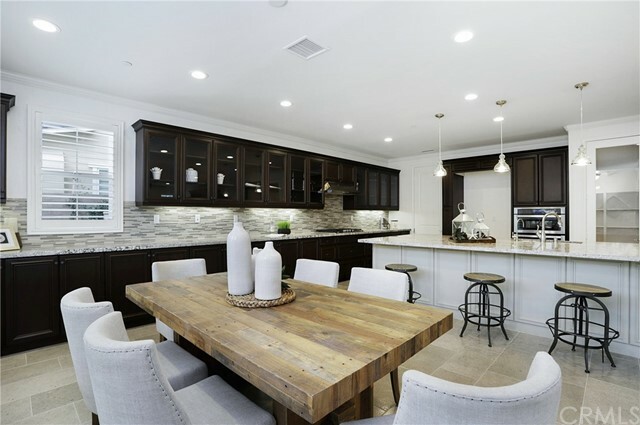 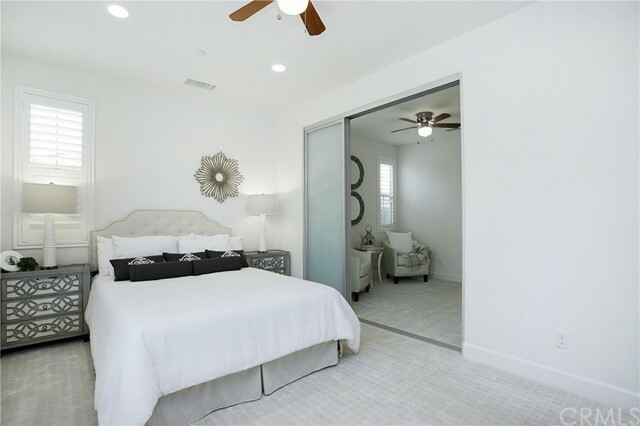 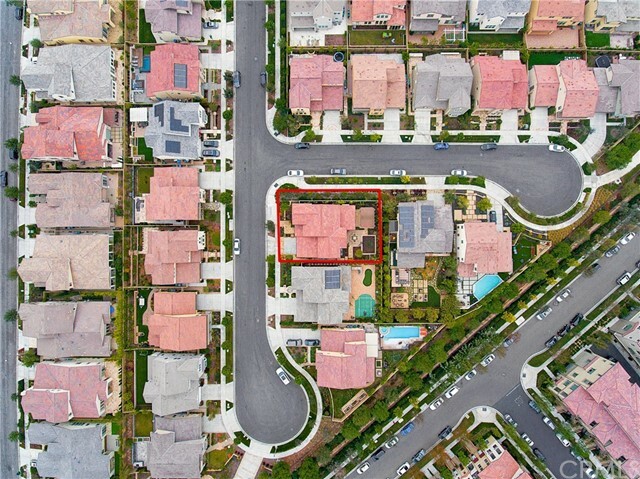 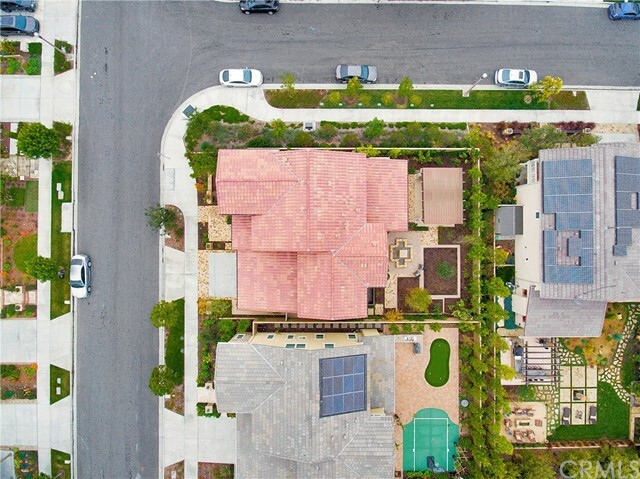 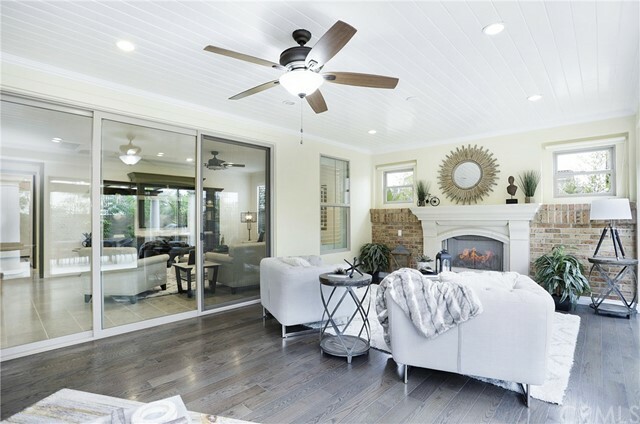 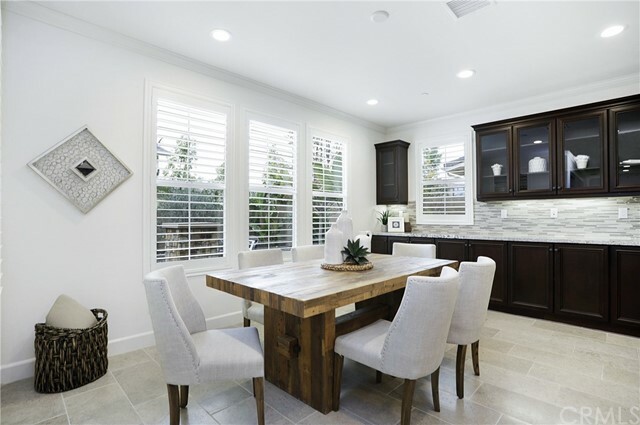 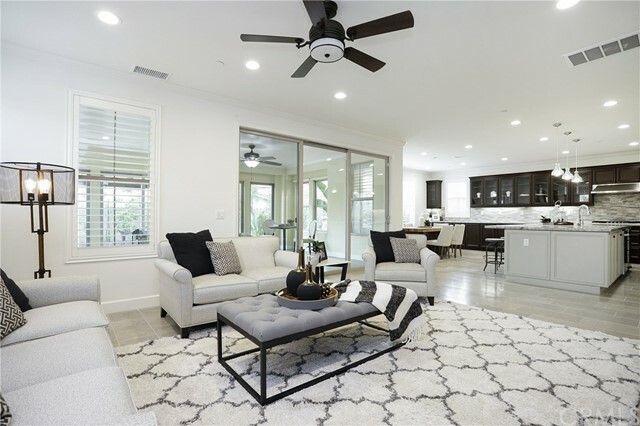 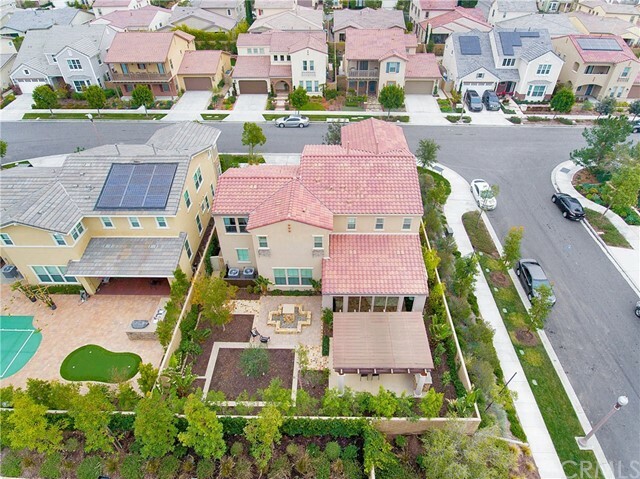 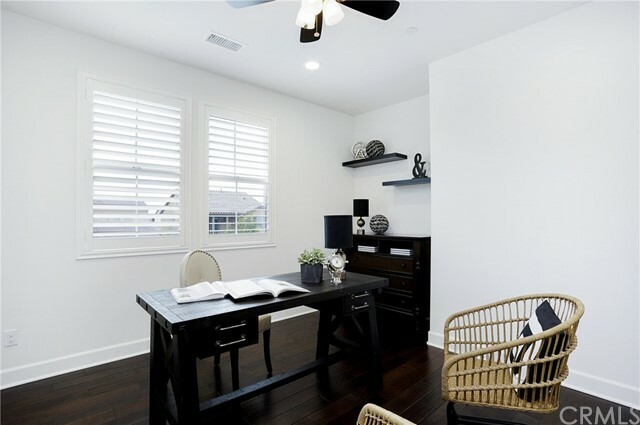 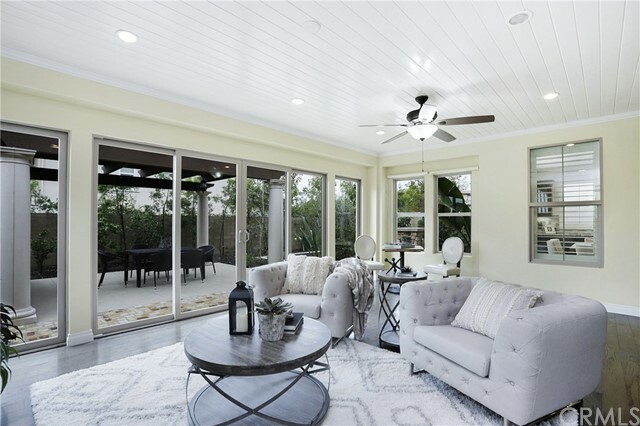 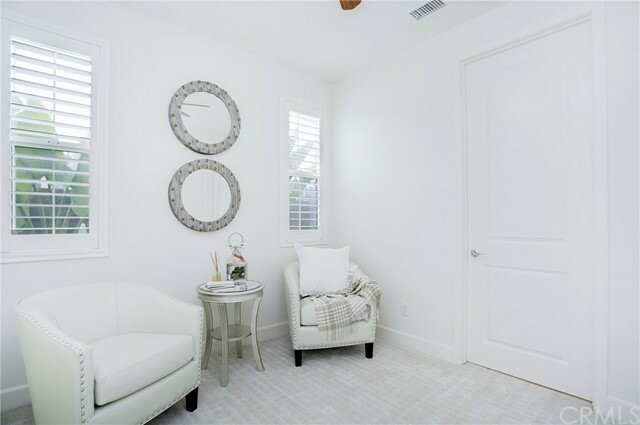 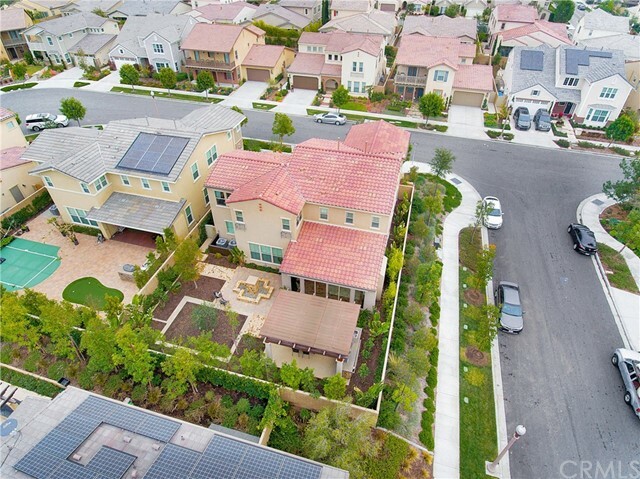 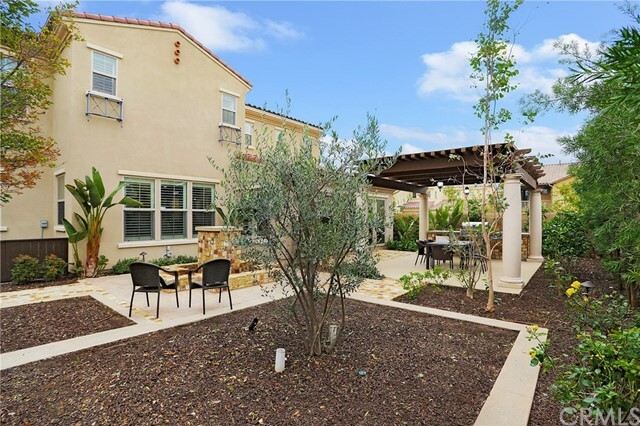 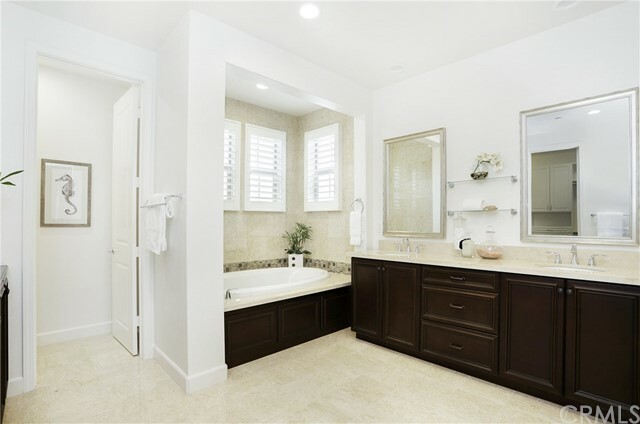 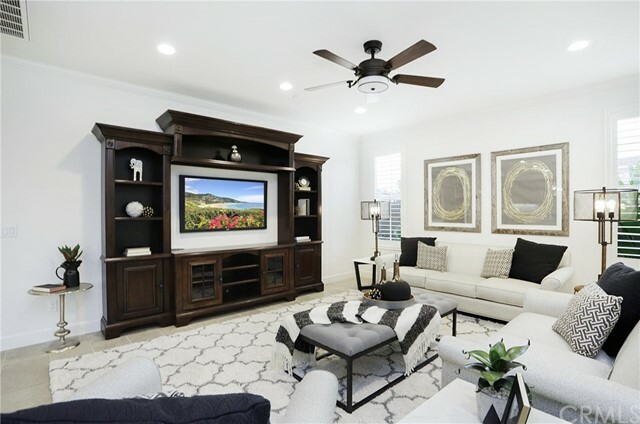 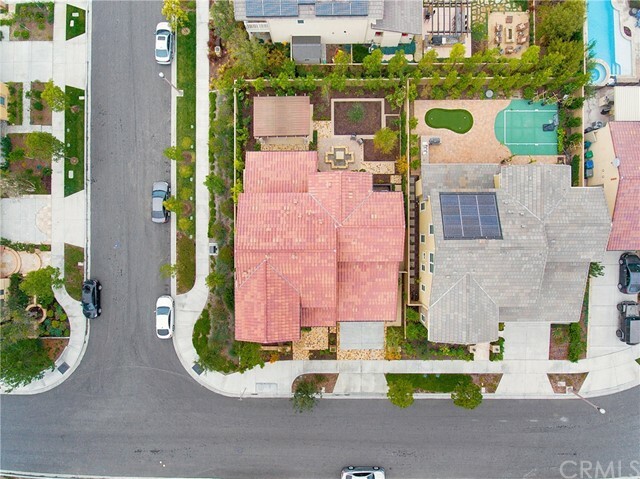 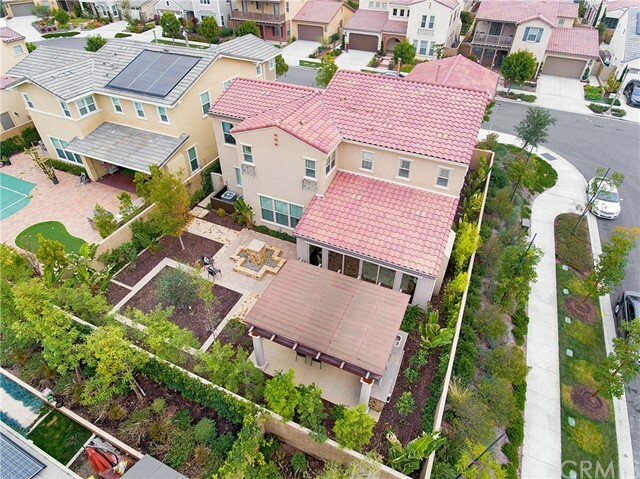 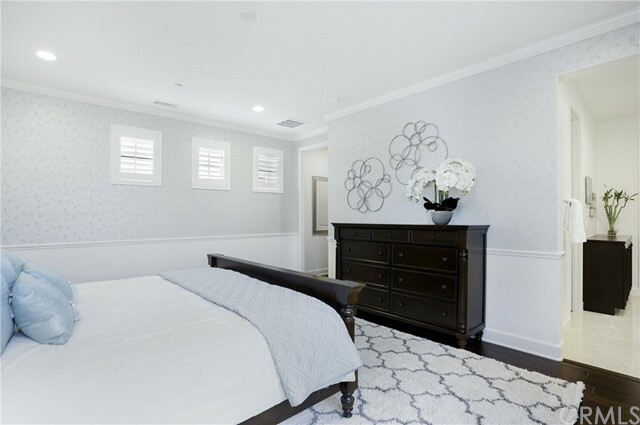 The house belongs to the award-winning Irvine Unified School District and is close to Woodbury shopping Center, Irvine Great park, and Irvine Spectrum Center. 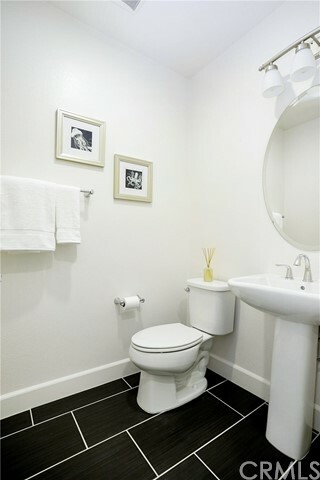 IT’S A PLACE YOU DON’T WANT TO MISS!